Following the tradition and the spirit of previous events in this series of workshops, the 9th Austrian Numerical Analysis Day will be organized by the Institute of Computational Mathematics at Graz University of Technology and will take place in Graz, April 11 - 12, 2013. The goal of this workshop is to inform about research activities in the fields of numerical analysis and applied mathematics. Scientists from Austrian universities and other research institutions are particularly invited to present their results/interests and discuss their ideas. Apart from strengthening already well established contacts this annual workshop should also provide an opportunity to start new collaborations. We will start on Thursday, April 11, at 12:50, and close on Friday, April 12, at 15:45. Please check the details. 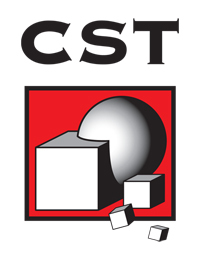 The conference dinner is sponsored by CST Computer Simulation Technology.